Recent events in Japan have thrown into sharp relief the way in which the media and the power brokers in the world today view things. 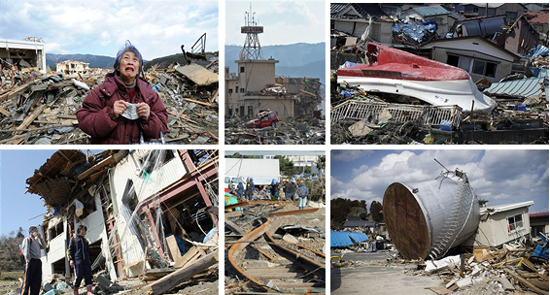 The trials and tribulations of the Japanese people has for the time at least held the world’s media enthralled with the deadly trinity of earthquake, tsunami and the threat of nuclear calamity. For the nations that are members of the First World Club (FWC) the events in the world’s third largest economy hold a particular ghoulish fascination precisely because they are happening to a fellow FWC nation. Endless analysis and speculation has filled the media and countries have fallen over themselves in the rush to proffer assistance. This interest stands in stark contrast to the indifference that has met the devastating drought in East Africa and plight of the Somali peoples. There would appear to be a number of reasons for the disparity of coverage that takes place. In the case of much of Africa one pivotal factor is the distinct lack of foreign correspondents spread throughout the continent. Ever watchful of costs, television and radio stations rely on a small number of newsgathering organisations such as Reuters. Foreign correspondents tend to be clustered in such cities as Accra, Cairo, Cape Town or Nairobi where there are frequent flights to Europe and beyond. A direct result of these concentrations of correspondents is that there is often duplication and a disproportionate coverage of certain countries. In the eyes of much of the world, Africa is still viewed in nineteenth century terms as the Dark Continent and as such seems to elicit predictable headlines: AIDS, atrocities, famine and the psychotic doings of the self-anointed. Whilst a shooting at a high school in America or the death of a minor member of the Kennedy clan in the US will warrant blanket media coverage, a ferry disaster off Mozambique might only be given a line or so in newsprint and will go unreported by television stations outside the region. August broadcasting bodies such as the BBC have cut back dramatically on foreign news coverage and according to the seminal report Shrinking World: The decline of international reporting in the British press (Media Standards Trust, November 2010) “In parts of the British press foreign coverage has fallen by almost 40% since 1979 ...” This dramatic decline has been all the more acute when it comes to the coverage of certain regions in the developing world. A proliferation of competing terrestrial and satellite channels has also resulted in the need to reduce costs and thus the services of many foreign correspondents in more out of the way locations have been dispensed with as out-sourcing has become the order of the day. Editors invariably justify their actions by claiming that if readers, viewers and listeners want international news stories they can always make use of the internet – a fatuous argument that sadly is rarely challenged by journalists, commissioning editors and programme makers. So alarming has this problem become that events in the Horn of Africa have been largely shelved by media outlets, the region only makes the headlines if a Westerner is taken hostage or killed by ‘pirates’. Minimal effort has been made to understand the causes of regional ‘piracy’ or why the international community has been so indifferent to the chaotic situation in Mogadishu. 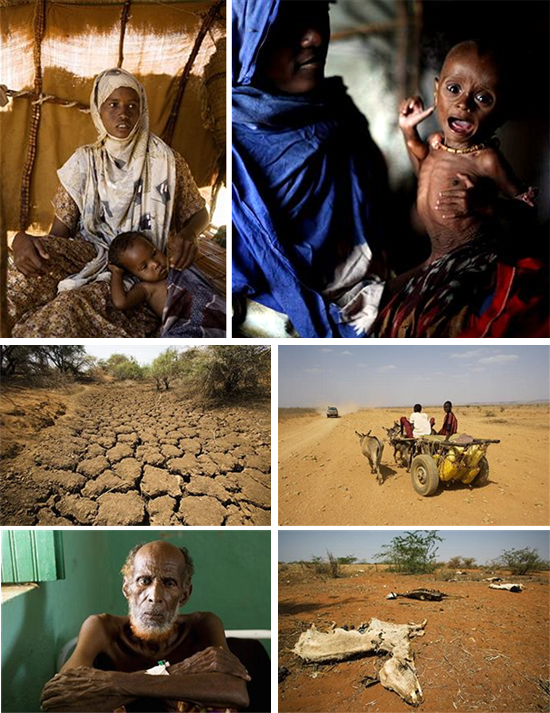 The current drought and famine in Somaliland, much of Somalia, the Ogaden and parts of Kenya is resulting in starvation and death, yet barely registers. Japan’s tragedy has not only seen wall to wall coverage, but a co-ordinated response to assist one of the wealthiest nations on the planet. Such inequality in media attention only makes matters worse, ensuring that in media coverage terms certain nations remain perpetually in the Third World Club (TWC) Positive news stories from Africa have the same difficulty seeing the light of day and if they do get aired are invariably treated in a patronising manner, as of novelty value. Such a mindset in mainstream journalism is at its most extreme when it comes to Africa, but is just as valid when it comes to parts of Central and South America, or Asia. There are of course journals and periodicals that make a concerted effort to give reasoned and well-balanced coverage, but as specialist publications these are rarely read by laymen and women. Certain television stations such as Channel 4 do remarkable work with the likes of Unreported World, but sadly this is the exception rather than the rule. Those networks that rely on advertising revenue will always endeavour to push the blame for the paucity of coverage elsewhere, claiming that it is all a matter of what advertisers’ want; customer choice or the pressure on budgets. Strangely though when it comes to stories hailing from Japan, the USA or a royal wedding in the United Kingdom budgetary pressures appear to evaporate. Human joy and human tragedy are universal. Branches of the media endeavour to report and explain such aspects of human existence. If we are to judge the effectiveness of such coverage it is essential to see where reporting is patchy or at times near non-existent. If a case study were needed to highlight the inequalities of such reporting it has to be what is unfolding in the Horn of Africa. The geo-political dimensions of the region are in many ways far easier to explain than the workings of Japan’s Fukushima Daiichi nuclear power plant. In overlooking or ignoring certain issues or parts of the world the media devalues them, and causes such issues or regions to be moved even further down the international agenda. The likes of the UN, the IMF and other such bodies are skewed enough without staff, funders and other interested parties having an ever more myopic view of the world. By ignoring the tragedy that is taking place in the Horn of Africa the media is indirectly helping to fuel future regional instability. Such instability, conflict over water and mass migrations that will result will eventuality elbow their way into the media whether editors or advertisers like it or not.